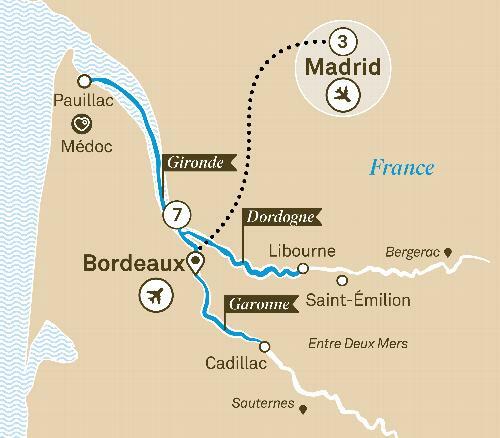 Embark on your wonderful cruise through Bordeaux. Sample Grand Cru Class wine, delight in a classical concert in Château Agassac or get lost in the wonder of medieval villages. You can relax on board your Scenic Space-Ship, content in the knowledge that there is sure to be yet another wondrous experience waiting to greet you at the next port. End with a three night stay at a luxurious hotel in Madrid.